Whether in a beginning math class or as a professional scientist, a graphing calculator can help you solve equations and plot graphs quickly. However, not all graphing calculators are the same. Each product is built for varying courses and has limitations on the amount and type of functions it can complete. To help you sort through all the information and find the right graphing calculator for your needs, our team did extensive research to find the best graphing calculators for high school students, college math, science and engineering students. For each product, we list its specifications, key features and other considerations. If you need more information on key features, things to avoid and how much you can expect to spend on this type of device, check out our buying guide. Read more about our methodology. This graphing calculator is an excellent option to perform basic calculations as well as advanced functions. 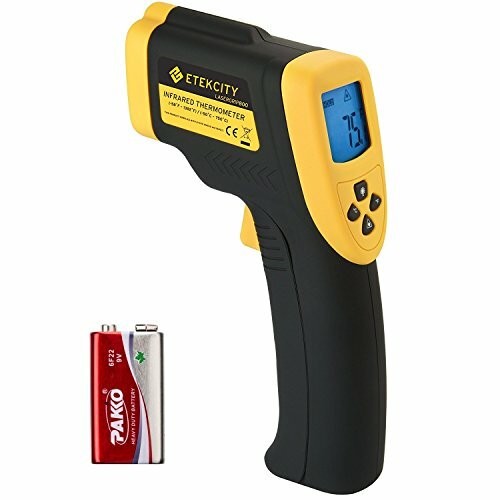 It features a large, backlit color display and rechargeable batteries so you’ll never worry about replacing batteries in the middle of an exam. If you are looking for a powerful graphing calculator for advanced math courses, this device does not disappoint. It features fast speeds, plenty of user memory and split screen views. It is an excellent option whether in a calculus class or a tough engineering course. 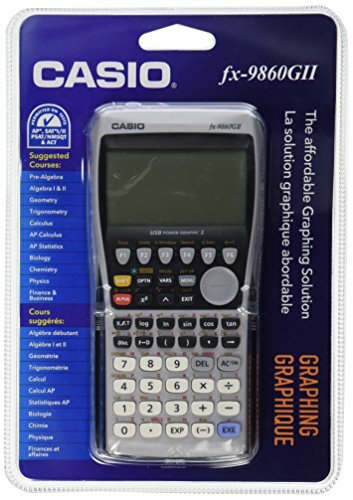 If you are looking for a graphing calculator that is not only budget-friendly but extremely simple to use, this is the device for you. 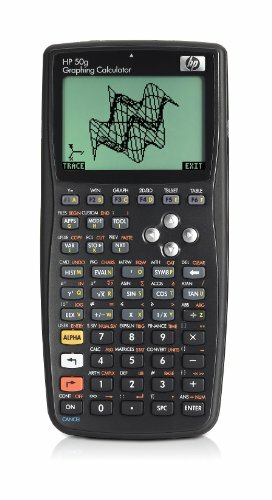 It can complete all your basic graphing functions and features an LCD backlit screen, 1,500 KB ROM and fast processing speeds. With an exceptional 230-hour battery life, simple input and reliable graphing functions, this graphing calculator is an excellent option that won't hurt your budget. It offers both basic and advanced functions, making it worth considering for professionals and those in more advanced math courses. With a large backlit display, color-coding capabilities and weighing less than a pound, this graphing calculator acts more like a computer. It can perform hundreds of functions and you can use it on most college entrance exams. Regardless of the advanced math course you are taking, with this calculator’s 2,300 built-in functions, you have all the tools and resources you need. It is programmable and offers fast speeds. Additionally, you can customize the screen and its settings to match your own preferences. Not only do you have 2,300 functions to utilize on this device, there are more than 300 specific to engineering and science students. It is an extremely durable device and can handle many drops and bumps. It also has two expandable card ports, ensuring you have all the memory you need to program. Easily take notes and solve equations with this advanced device. 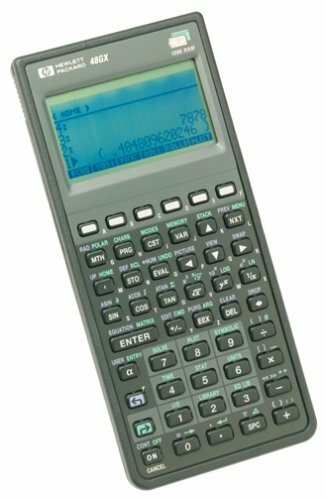 Offering an ample amount of storage, built-in applications, adequate battery life and a large display screen, this product can help you compute equations in little time. Graphing calculators will vary in the type and amount of functions it is capable of computing. For example, calculators for high school students will have more limitations than those for engineers. Advanced products will offer thousands of capabilities such as graphing functions, lines, parabolas, cubic functions, etc. Additionally, the best products feature specific keys, such as a fraction key, to make input much faster. Many graphing calculators will list on its specification’s page if it has the functionality for certain math, science and engineering courses. These computing devices can have large learning curves. Many products — even basic devices — can require hours of use before fully understanding the features, tools and interface the device boasts. During our research, we carefully evaluated the simplicity of the calculator’s interface. Some products, such as the TI-84, require a large learning curve but are common among U.S. high school teachers who teach students how to use the calculator in the classroom. Many products come with extensive user manuals, but be aware, as some user manuals can be dozens — if not hundreds – of pages long. As you enter in equations, you need large displays that allow you to see all variables. Large display screens are ideal, and some products offer color capabilities as well, allowing you to color-code and create easy-to-read graphs. Look for products with rechargeable batteries. Many products require four or more batteries to run and can only last for up to 100 hours on a single set of batteries. Short battery lives not only require many additional battery purchases, but you run the risk of losing power during exams. Look for graphing calculators that offer an ample amount of available memory. This user-available memory allows you to enter and store specific functions and programs into the calculator. You can store functions you are currently working on or those you wish to come back to at a later date. The amount of memory available ranges from just 24 KB to more than 100 MB. Graphing calculators vary greatly in price. The more you pay for this type of device, the more functions, built-in applications and design features you will receive. Products less than $100 typically offer your basic graphing features. You can complete equations and functions, but the display is small, memory is low and there are numerous limitations on its capabilities. Products ranging in price from $100-$200 are generally what you will spend on a quality product for a high school or college math student. These products provide all the features you need to complete most functions and will last you several years and through multiple math courses. Products greater than $200 are ideal for professionals and those in graduate math, science and engineering courses. These graphing calculators can perform hundreds of functions, offer the greatest amount of memory, and feature large, backlit color display screens. The Texas Instrument TI-Nspire CS CAS is one of the most versatile and powerful graphing calculators on the market and is an ideal option for beginners and professionals alike. It has the ability to perform basic mathematic and graphing functions — such as in geometry — and boasts Computer Algebra System capabilities as well. The TI-Nspire features a large display screen and note-taking capabilities, allowing you to enter notes and instructions while working on equations. The navigation of this graphing calculator is similar to a computer, making it more intuitive for users. In addition, it features a TI rechargeable battery, which you can easily recharge with a USB cable or a docking station. Extensive collection of built-in functions. This graphing calculator offers numerous graphing functions, geometry capabilities, statistics tools and algebraic capabilities. Users say they use this calculator in math and science classes, as well as in Engineering programs. Long battery life. Users say they rarely charge the device, despite using it on a regular basis. This graphing calculator features a rechargeable battery, saving you money from constantly buying new batteries to power your device. Large, 3.2-inch color display screen. 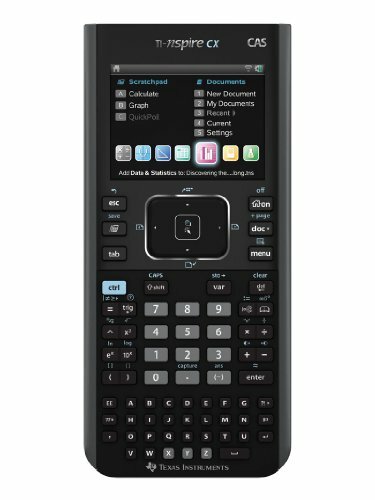 The TI-Nspire CS CAS features one of the largest display screens available on a graphing calculator and the color capabilities enhances your graphs and gives you more customizable options. Note-taking capabilities. You can take notes, write down instructions or add other details right on your display screen. Intuitive interface. This calculator acts more like a computer in terms of its interface. You simply utilize drop-down menus to find and acess the numerous tools and programs included on this product. Many users praise the user-friendly interface offered on such an advanced device. Not approved for all college entrance exams. While this graphing calculator is approved for some college entrance exams including the SATs, it is not permitted on all. For example, if you are taking the ACTs or IB exams, you will need to use a different product. 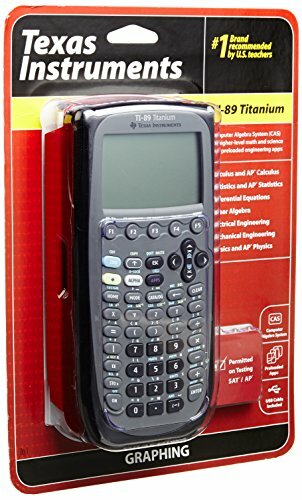 For a variety of advanced math and engineering courses, the Texas Instruments TI-89 Titanium is worth considering. It features hundreds of functions and tools for graphing and solving equations. It also provides several stored constants and functions to make inputting and entering equations less of a hassle. 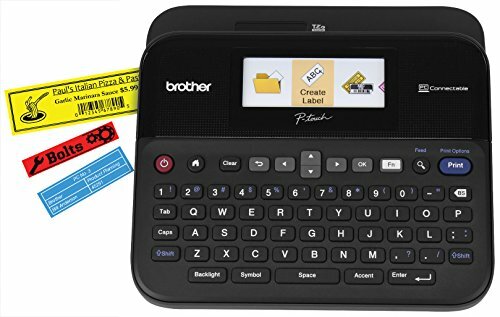 It boasts split-screen views, allowing you to access more information at once and it features note-taking capabilities, so you can write down instructions directly into the calculator. Great option for advanced math. College math and engineering students will benefit the most from this powerful graphing calculator. It features hundreds of functions, which allow you to perform even the most complex equation with ease. Plenty of user-available memory. Compared to similar products, this graphing calculator offers a significantly greater amount of user-available memory. You can store an ample number of notes, instructions, details and programs in this calculator with its large amount of user-available memory. This graphing calculator offers 2.7 MB of ROM and 188 KB of RAM. Can handle extensive use. Users say this graphing calculator does what it is should and can handle years of use. It features an impact-resistant slide case that protects the device while you carry it with you each day. Customizable. You can make this graphing calculator work for you. Create folders for subjects and applications, add your own images to enhance graphs, change the language and add your current date and time. Incredibly steep learning curve. Many users say this device was difficult to learn and you need to devote serious time and study into understanding its features and functions. However, it has many similarities to other TI calculators, so if you are familiar with other models, you will have some advantage. 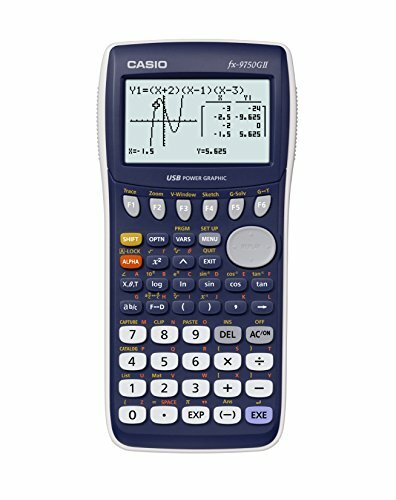 With an extremely user-friendly interface and the power to compute most equations, the Casio fx9860GII is an excellent option. This is one of the most user-friendly devices on the market due to its icon-menu display and simplified keypad. 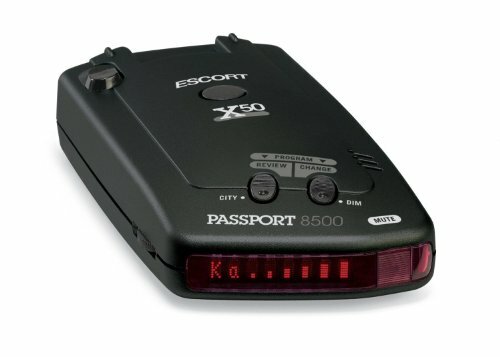 Users praise this product’s fast processing speed and you can connect to a computer, another unit and even Casio projectors with ease. However, always be prepared with extra batteries as this device requires four AAA batteries. Fast processing speeds. Users say this device is extremely fast and features little lag. You won’t be waiting long for this device to compute even your most advanced equations. Simple to use. 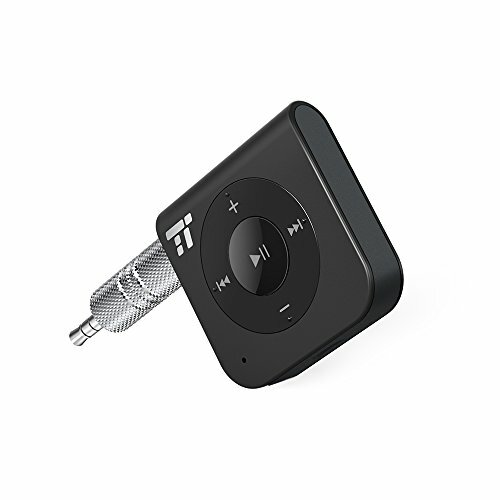 The buttons and functions on this product are more streamlined than similar devices, making it easy to find the features and capabilities you need. It provides an icon-based menu system and many users say this is one of the easiest graphing calculators they have used. Impressive connectivity options. This graphing calculator features USB connectivity that lets you connect the calculator to your PC. 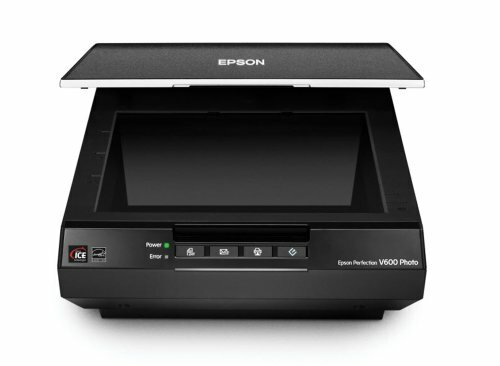 You can also transfer information from device to device and connect directly to Casio projectors. Requires 4 AAA batteries. You will need 4 AAA batteries to power this device, and you’ll want to keep extras on hand for when your battery life is running low. The Casio fx-9750GII is an excellent option for professionals and those already familiar with Casio products. It boasts up to 230 hours on a single set of batteries and has the capabilities to create complex graphs and solve advanced equations. The interface of this device is simple to use and entering in equations is less of a hassle than similar products. However, high school students and those unfamiliar with graphing calculators may have a difficult time with this device as many teachers aren’t accustomed with its interface, and students may not receive the guidance they need in a classroom setting to accurately solve equations. Create variety of graphs. You can do more than just create a simple line graph with this device. It has the capabilities to create bar and pie graphs. You can also complete statistic and financial equations with this product as well. 230-hours of battery life. This Casio product will last approximately 230 hours with one set of batteries. Compared to similar products that require batteries, the battery life on this device will last significantly longer — even up to 100 hours longer. Fast input. Many users familiar with graphing calculators praise this device due to its ease of use and simplified input. You can easily enter in equations and users say it is much easier to use than other graphing calculator brands. No CAS capabilities. This calculator does not feature a Computer Algebraic System, also known as CAS. This means the calculator cannot solve indefinite integrals, derivatives and other algebraic equations with symbolic results. Not ideal for high school students. While this device is extremely simple to use, some parents of high school students say they had to switch calculators as high school teachers were not familiar with this Casio device and could not properly assist children. This product is a better fit for professionals who need fast and simple input and are familiar with this type of calculator. Graphing calculators for high school students are more simple and user-friendly than comparable devices. These products can compute basic equations and have the functionality to graph lines, calculate numerous functions and solve algebraic equations. They are designed to grow with you, meaning as you move from basic math classes to more advanced courses such as calculus and statistics, you can take your calculator with you. Furthermore, you can use this graphing calculator on college entrance exams such as the ACTs and SATs. The Texas Instrument TI-84 Plus CE has the capabilities to handle most high school math classes. It is an extremely popular calculator and used by many U.S. high school math teachers, making it easy to find one-on-one help and guidance with the device if needed. Even more, you can use it on most college entrance exams including the SATs, ACTs and AP tests. The design on this graphing calculator helps it stand out from other models as it features a large color display, an adequate keypad and a thin design. Permitted on most college entrance exams. Once you learn how to use this device, it has the capabilities to handle most high school classes from pre-algebra to calculus. Even more, you can use it on most college entrance exams including the SATs, ACTs and AP tests. Bright color display. Featuring a 16-bit color display, the bright vivid colors add detail and clarity and enable you to color code your graphs. The display screen is backlit and 2.8-inches diagonal. Many users praise this device and admire its bright and advanced color capabilities. Extremely durable. 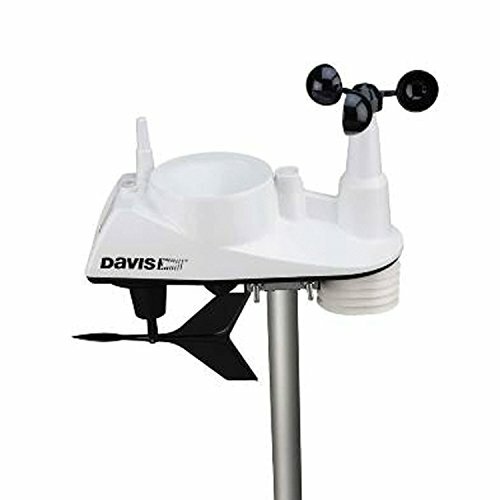 Several users report this device can handle drops, bumps and other rough movements that occur with frequent, daily use. This product includes an impact-resilient case to help protect the calculator while in your backpack. Plus, it weighs less than a pound and is extremely thin, making it easy to carry with you from class to class. 12 pre-loaded applications. This graphing calculator offers up to a dozen various applications to assist with science and math courses. These applications include the periodic table, polynomial root finder, language localizers and graphing features. Insufficient instruction manual. While this calculator is great for high school students, there is some learning curve with it. Some users say the instruction booklet doesn’t provide enough instruction, so you may have to search for online resources for help to fully utilize this calculator if necessary. If you are taking college math courses, you need a calculator that not only performs basic functions but can also help you learn advanced math concepts. Many of these products offer a long battery life, ensuring you have all the power you need while spending hours studying. They also provide numerous memory options, user-friendly displays and fast processing speeds. This graphing calculator is easily one of the best available if you are taking numerous advanced math courses. You can program this device to ensure it has all the tools and resources you need and with its 2,300 built-in functions, you can solve numerous equations with ease. 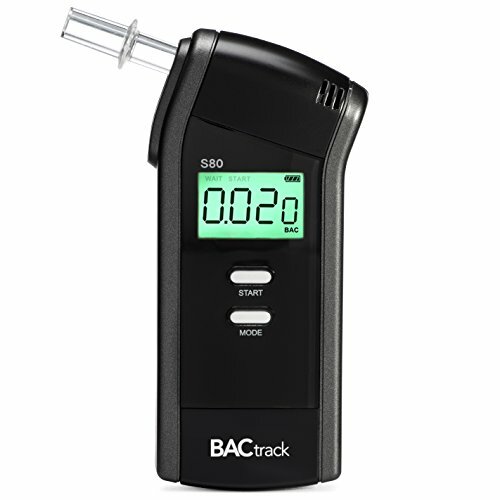 Users say this product is extremely fast, making it ideal for professionals and students. Additionally, its battery life is superb, but it does require an exceptionally large number of batteries. 2,300 built-in functions. Several users report this is one of the most powerful graphing calculators they have used. This HP graphing calculator boasts 2,300 functions. It is also programmable, so you can upload and include any additional tools and resources you need as well. Little lag. Users say this graphing calculator was fast and there was little lag while computing. This is extremely beneficial as some graphing calculators, especially when working with large equations, can experience significantly slower speeds. 2.5 MB of memory. You have an ample amount of space to store programs, notes, equations and other applications on this device. It features 512 KB RAM and 2 MB of Flash ROM. Plus, if you need more memory, an SD card slot located on the bottom of the device makes that possible. Customizable interface. You can make this calculator work for you with its customization capabilities. You can adjust the font size on this device and choose between various data entry options. Requires an excessive number of batteries. You will need 4 AA batteries, as well as a cell battery, to power this device. While the battery life is exceptional, you’ll always want backups in case of unexpected low batteries while on campus. Engineers calculate equations specific to their field that are often long and complex. The best graphing calculators can handle these complex equations without slowing down. You can perform hundreds of functions specific to engineering and they feature a large built-in library, helping you streamline the input process. 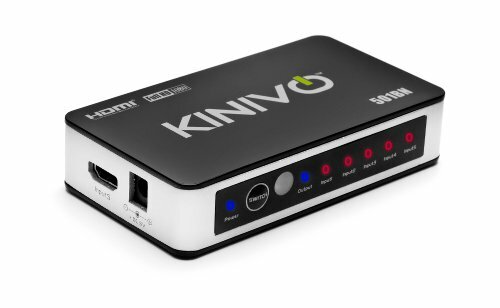 These products typically offer an ample amount of memory and provide ports for expandable RAM. The HP HP48GX is built with engineering students in mind. It features more than 2,300 functions as well as 300 functions and formulas specific to engineering and science students. It offers 128 KB of built-in memory, as well as two card ports for expandable RAM. This graphing calculator is robust, durable and extremely lightweight. However, many users say that if you aren’t familiar with HP graphing calculators, this device may be extremely daunting and difficult to use. 300 function specific to engineers and scientists. While there are 2,300 functions included on this device, there are 300 built-in functions geared to engineers. In addition, it has a built-in library with more than 300 formulas and constants for math, science and engineering students. Lightweight design. Weighing just over four ounces, you will hardly notice you are carrying this graphing calculator. Many users say despite its lightweight design, it is still robust and can handle countless drops without affecting its performance. 2 expandable ports. Two card ports are located on this device for expandable memory. By placing SD cards in these ports, you will have an ample amount of memory for all your work. Many comparable products only feature one card port. Slow speeds. Some users say the speeds on this device weren’t up to par and it is considerably slower than comparable products. Whether you work in the field of biology, chemistry or even physics, the best graphing calculator for science provides hundreds of functions to help you solve scientific equations with ease. Whether using this type of device in college or as a professional, it typically offers more than 100 hours of battery life and plenty of memory, giving you space to store your most used equations and plenty of notes. Some products provide large, color display screens, which help you analyze all aspects of your graph and equations. 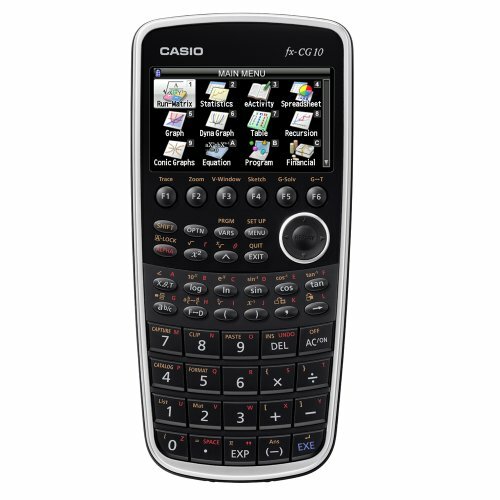 The Casio FX-CG10 PRIZM provides all the functions you need to solve both math and science equations, customize your settings and take notes. It is a versatile calculator and gives you plenty of formatting and customization options. It also provides a full-color, 3.7-inch display screen, as well as a large keypad. You can add images to your graphs and it offers up to 16 MB of storage, ensuring you have plenty of memory to store notes, equations and applications. Formatting options. You have complete control over the formatting of your graphs and spreadsheets, which is a feature many users enjoy. You can add images to your graphs as well as color code graphs with ease. Large 3.7-inch display screen. The large 3.7-inch display helps you easily see all variables in your equations and the colors are bright and vivid. Several users say its large keypad is extremely useful and helps reduce mistakes while you input your equations. Full note-taking capabilities. This device features eActivity which is a built-in app that allows you to take notes and solve equations next to one another. Very difficult to find specific features. While this calculator offers an ample amount to users, many handlers report that it’s extremely difficult to find features and its interface is confusing.